Improve your recall of what you have read. Don't try to vocalise as you read. Read with only your eyes and don't vocalise words to yourself, even in your own mind. Instead, try simply to SEE and understand the content in the form of vivid mental images. Try to visualise the content in the form of mental images that you'll find easy to recall later. As you read, strive to translate the text into a mental movie, which is full of vivid images, sounds and actions. Endeavour to encode the content in the form of icons that can hold meaning in your memory. The Sun, is the centre of our solar system which is the planetary system that includes our Earth. By the radiation of its light and heat, the Sun provides us with practically all of the energy that supports life on Earth. (There are small numbers of creatures that are supported by deep-ocean hydrothermal vents). For the rest of life, all sources of energy are ultimately derived from the suns solar energy. Plant-life uses solar energy to build up complex biomolecules using hydrogen and oxygen taken from the water and carbon taken from the air. This process is called photosynthesis. Without the energy from the sun, no intelligent life on earth would be possible. The Sun, Solar system. Earth. Plant-life. Complex biomolecules. Water. air. Photosynthesis. No intelligent life. Possible. 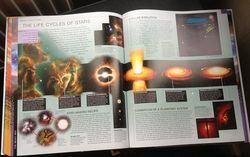 At the end of this amount of visualisation the speed reader would spend a few seconds tying to memorise those images and concretise them into his memory. The distance to the sun from the earth is 92,960,116 miles (about 93 million miles). This distance is used by astronomers as a standard measurement of distance as an astronomical unit, (A.U.). Our sun is a typical star and as such can be used as a useful guide to understand most other stars. No other star can be studied in such detail. The next nearest star to us is Proxima Centauri. It claims the honour of being our nearest neighbour at only 4.24 light years away. Again the speed reader may pause and may spend a few seconds trying to memorise these images-words and concretise them into his/her memory. Proxima Centauri. 4. Light years. By this process, the speed reader is seeking to pick out key concepts, visualise them, understand their meaning, then memorise them, then move on to the next section. Speed reading is an evolution. You don't learn to do it in a day. You develop your skills over an extended period of time. Try it and see what you can achieve.